Here in this article we are going to share various teaching jobs available in Mumbai city. 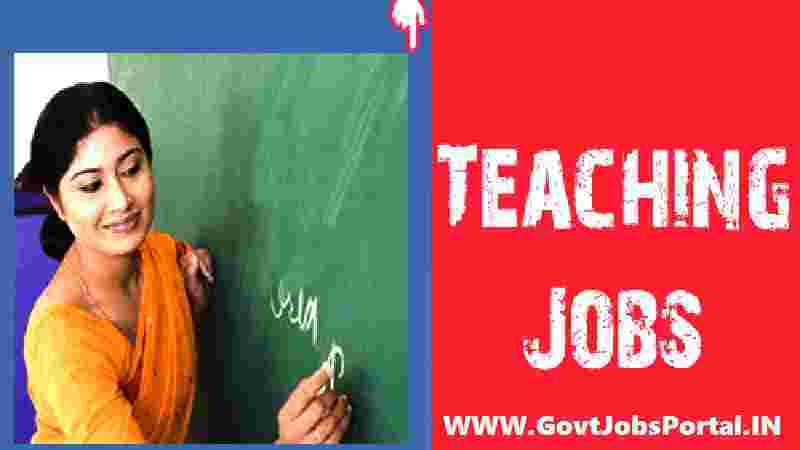 So those who are looking for teaching profession related jobs in Mumbai city can apply for one of these jobs which suits them better. We took these various vacancies from the Time of India Newspaper and sharing with you here. The process for applying these teaching jobs in Mumbai is quite simple by sending your CV to the defined mail ID as well as visits directly to the school or collage. Check the detail below. 1. ST.JOHN 'S: High School Sidharth Nagar Borivali(E), Mumbai - 66 requires trained and experienced B.A. B.Ed. Teacher for IX & X Submit C.VS at the School Office. 2. DON: BOSCO HIGH SCHOOL & Jr College Tagore Nagar. Gr No.1. Vikhroli (E). Mumbai-83 requires Secondary & Jr.College Teachers (All Sub.) visiting lecturer Timing 09:30 a.m. to 1:00p.m Contact-with full biodata with photograph & zerox copy attached. Total 104 candidates are invited for these application for the post of Shikshan Sevak (Aided section) in Biology. Minimum Second Class M.Sc with B.Ed. Qualifications remain the same . physically handicapped persons will be preferred. Apply with testimonials, within 7 days from the date of advt. to the Principal. 5. REQUIRED: B.Com Clerk for Unaided Recognized Primary English School. Candidate must have thorough knowledge of Tally. Accounts up to Finalization. Must be able to handle Income Tax & TDS related queries & departmental work and Correspondence. Gross Salary approx. Rs.20000/- per month. Apply: Head Mistress. Shri Gauridutt Mittal Vidyalaya, Sion (E) Mumbai-22.